Sharpie Peel Off Chinamarker Black Pack of 12 Wax china marker ideal for smooth glossy surfaces. Great for writing on china glass metal or plastic. Marks on many porous and non-porous surfaces. Water soluble. Erasable with a damp cloth. 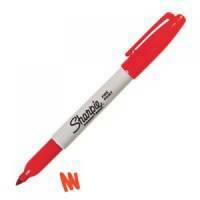 Sharpie Peel Off Chinamarker Red Pack of 12 Wax china marker ideal for smooth glossy surfaces. Great for writing on china glass metal or plastic. Marks on many porous and non-porous surfaces. Water soluble. 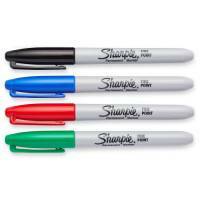 Erasable with a damp cloth. 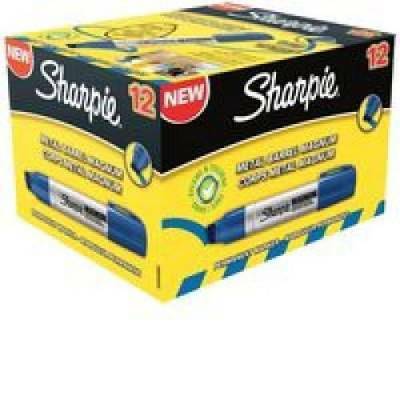 Sharpie Peel Off Chinamarker Yellow Pack of 12 Wax china marker ideal for smooth glossy surfaces. Great for writing on china glass metal or plastic. Marks on many porous and non-porous surfaces. Water soluble. 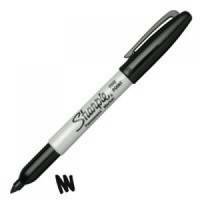 Erasable with a damp cloth. 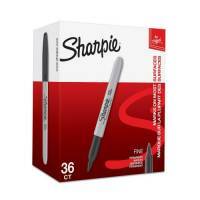 Papermate Sharpie Fine Tip Permanent Marker Red Pack of 12 Permanent on most hard to mark surfaces. 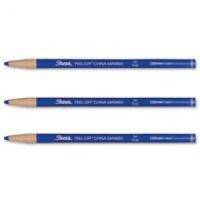 Long lasting durable fibre tip. Available in a large assortment of colors to free your creativity at home & stay organized in the office. Excellent for marking cardboard/photo paper/corrugate/wood/metal and foil. Fade and water resistant. Quick-drying ink. Sharpie Metal Permanent Marker Small Chisel Tip Black Pack of 12 Convenient & resistant permanent marker with metal barrel; ideal for intensive usage. Durable aluminium barrel & blocked bullet tip stand up for heavy use. Water resistant ink dries quickly and marks on wet and oily surfaces. Excellent for marking corrugate wood/metal/foil and stone. 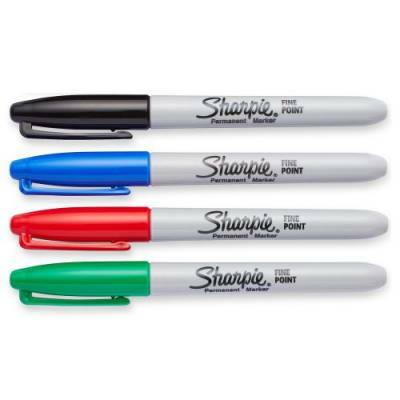 Sharpie Permanent Marker Fine Tip 1.0mm Line Assorted Pack 4 Pack of 1 Permanent on most hard to mark surfaces. Long lasting durable fibre tip. Available in a large assortment of colors to free your creativity at home & stay organized in the office. Excellent for marking cardboard/photo paper/corrugate/wood/metal and foil. Fade and water resistant. Quick-drying ink. 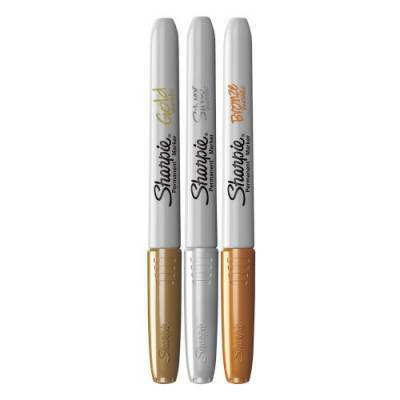 Sharpie Fine Markers Metallic Pack of 3 Pack of 1 Permanent on most hard to mark surfaces. 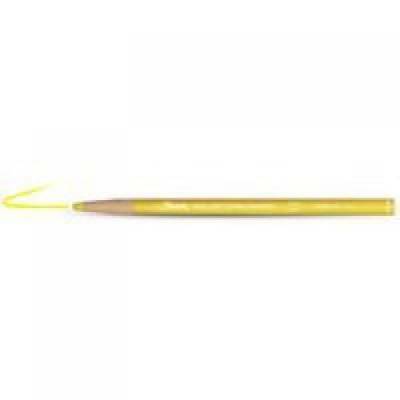 Long lasting durable fibre tip. Available in a large assortment of colors to free your creativity at home & stay organized in the office. Excellent for marking cardboard/photo paper/corrugate/wood/metal and foil. Fade and water resistant. Quick-drying ink. 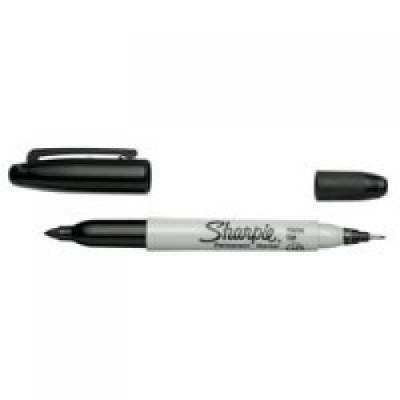 Sharpie Metal Permanent Marker Large Chisel Tip Black Pack of 12 Convenient & resistant permanent marker with metal barrel; ideal for intensive usage. Durable aluminium barrel & blocked bullet tip stand up for heavy use. Water resistant ink dries quickly and marks on wet and oily surfaces. 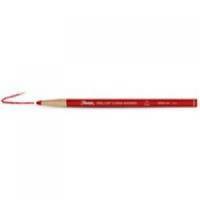 Excellent for marking corrugate wood/metal/foil and stone. 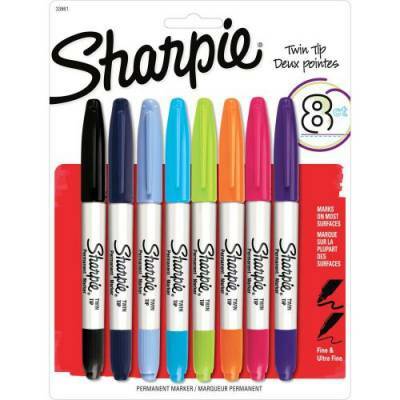 Sharpie Assorted Markers Ultra Fine Pack 12 Pack of 1 This Sharpie Marker has an ultra fine nib; for precise; detailed; permanent writing on a variety of surfaces. The permanent ink is abrasion; fade and water-resistant; for long lasting clarity. 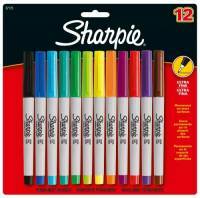 This pack contains 12 markers in assorted; vivid colours. Sharpie Assorted Pastel Markers Fine Pack 24 Pack of 1 This Sharpie Marker has a fine nib; for precise; detailed; permanent writing on a variety of surfaces. The permanent ink is abrasion; fade and water-resistant; for long lasting clarity. 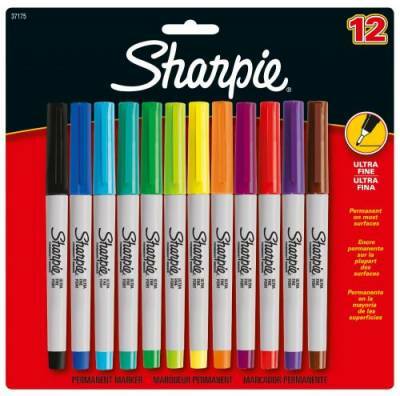 This pack contains 12 markers in assorted; pastel colours. 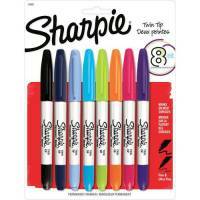 Sharpie Twin Tip Permanent Assorted Marker Pack of 1 This Sharpie Twin Tip Permanent Marker is suitable for use on most hard surfaces. 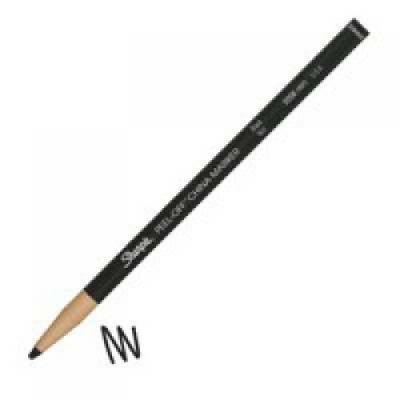 The unique design features a standard; durable; fibre tip on one end for bold marking and a ultra-fine tip on the other for more detailed work. 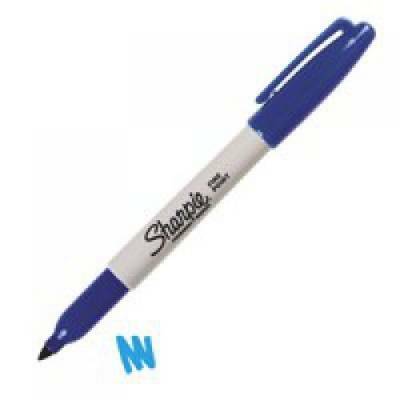 Sharpie Metal Permanent Marker Large Chisel Tip Blue Pack of 12 Convenient & resistant permanent marker with metal barrel; ideal for intensive usage. Durable aluminium barrel & blocked bullet tip stand up for heavy use. Water resistant ink dries quickly and marks on wet and oily surfaces. Excellent for marking corrugate wood/metal/foil and stone. 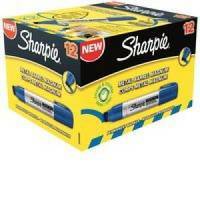 Sharpie W10 Permanent Marker Chisel Tip 1.2-5mm Black Pack of 12 Low odour quick drying permanent ink. Lightfast and water resistant. Colour band indicates ink colour. Extra long cap-off up to 21 days ideal for intensive usage. Excellent for marking cardboard/photo paper/corrugate/wood/metal/foil/stone/plastic and leather. Sharpie Fine Tip Permanent Marker Black Pack of 12 Permanent on most hard to mark surfaces. 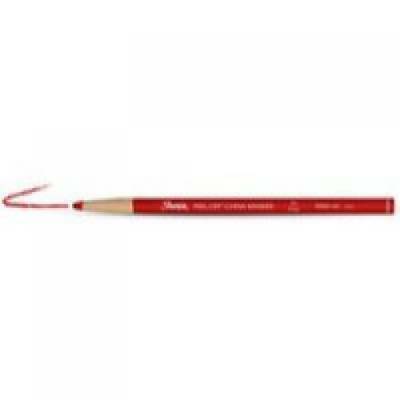 Long lasting durable fibre tip. Available in a large assortment of colors to free your creativity at home & stay organized in the office. Excellent for marking cardboard/photo paper/corrugate/wood/metal and foil. Fade and water resistant. Quick-drying ink. 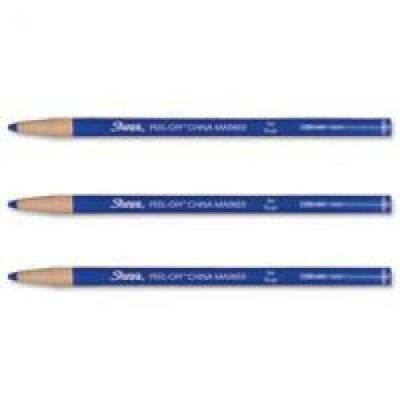 Sharpie Peel Off Chinamarker Blue Pack of 12 Wax china marker ideal for smooth glossy surfaces. Great for writing on china glass metal or plastic. Marks on many porous and non-porous surfaces. Water soluble. 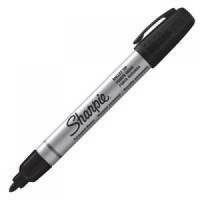 Erasable with a damp cloth. 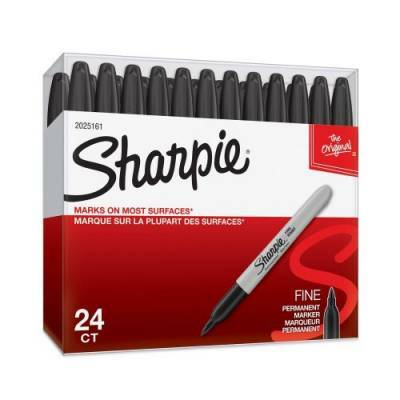 Sharpie Metal Permanent Marker Small Bullet Tip Black Pack of 12 Convenient & resistant permanent marker with metal barrel; ideal for intensive usage. Durable aluminium barrel & blocked bullet tip stand up for heavy use. Water resistant ink dries quickly and marks on wet and oily surfaces. Excellent for marking corrugate wood/metal/foil and stone. 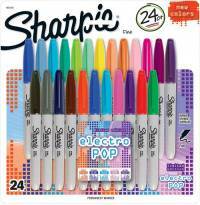 Sharpie Fine Tip Permanent Marker Blue Pack of 12 Permanent on most hard to mark surfaces. Long lasting durable fibre tip. Available in a large assortment of colors to free your creativity at home & stay organized in the office. Excellent for marking cardboard/photo paper/corrugate/wood/metal and foil. Fade and water resistant. Quick-drying ink. Sharpie Twin Tip Permanent Marker Black Pack of 12 Twin tips (fine and ultra fine) for a variety of marking. 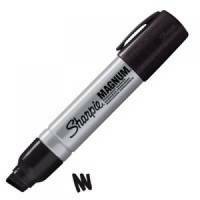 Permanent on most hard to mark surfaces. Long lasting durable tip. 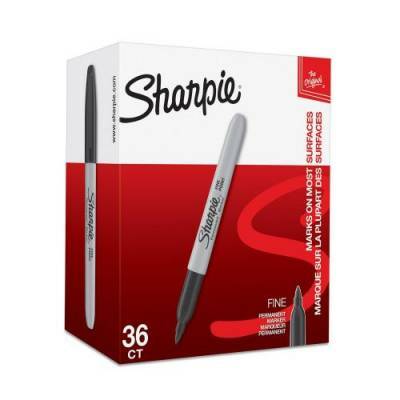 Excellent for marking cardboard/photo paper/corrugate/wood/metal and foil. Fade and water resistant. Quick-drying ink.